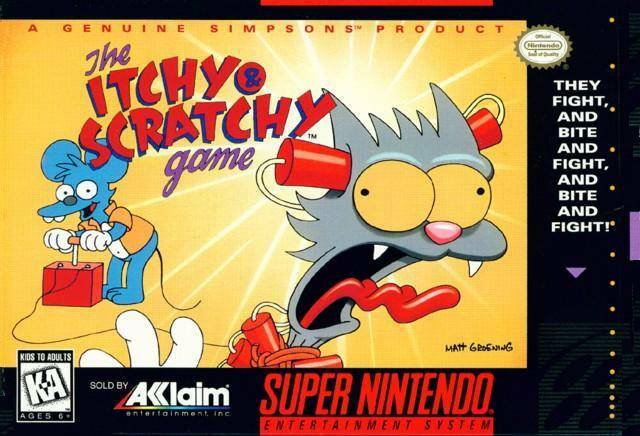 Itchy & Scratchy Game for Super Nintendo allows you to take control of Itchy the mouse as he uses axes, chainsaws, frying pans, and flame throwers. Naturally, Itchy's target is Scratchy the cat. Based on the cartoon from the Simpsons.